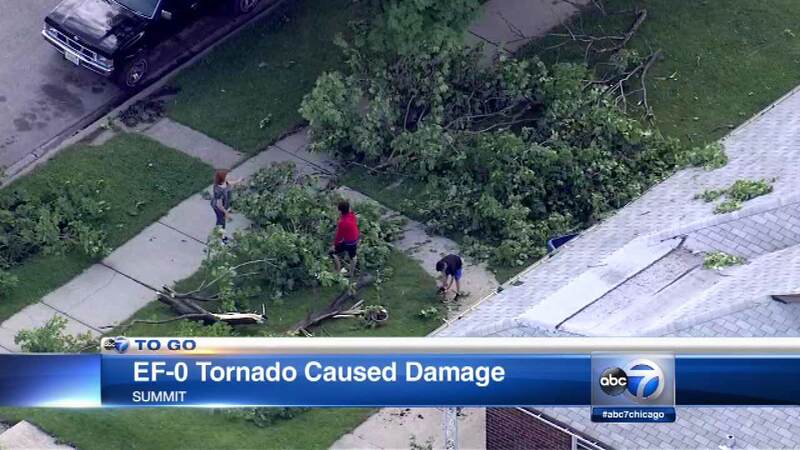 SUMMIT, Ill. (WLS) -- The National Weather Service now says it appears a tornado touched down briefly in southwest suburban Summit Tuesday. Meteorologists classify the tornado as an EF-0, which is the weakest tornado with winds of 65-73 mph. The tornado damaged trees and bent some light poles in an eight-block area of Summit.